Henley Women’s Regatta is upon us at last and changes to the competition program means crews are funnelled into Championship, Aspirational, Development, Junior and J16 classes. This will undoubtedly increase the value of a win at HWR but will require top club crews to stretch further as they face top overseas and domestic crews. One such crew making the stretch is the Thames Rowing Club quad entered in the Borne Cup, the Championship event for quads. The crew of Suzi Perry, Pippa Whittaker, Natalie Hardy and Alex Styles are all seasoned athletes and all four combine full-time work in London with 14 sessions of training a week. Unlike many elite or student crews, time for recovery is pretty scarce. The quad has had two competitive outings at regattas and won the Women’s Challenge Quads at Wallingford Regatta comfortably. At the Metropolitan Regatta three weeks ago, they met stiff opposition from the Leander crew of Siddorn/Brayshaw/Bowyer/Adamson and were beaten into second place by 2.4 seconds in a six lane race. Suzi Perry who sculls at bow, is an in-house solicitor for a media company in central London and told WEROW, “We all work long hours but training is the enjoyable part of the day. It’s tough to fit it all in but we are off the water by 7.00am and back at the club again for 7.00pm for 14 sessions a week, including three on a Sunday” Perry won the lightweight single sculls at HWR in 2017 and previously won Pairs Head and Scullers Head as well as representing GB at FISU in the LW2x. Natalie Hardy, who works in recruitment, won the Senior Lightweight coxless pairs at HWR in 2017 and was awarded the Bremont Award – for exceptional performance for taking the most time of the course record. She also had a very successful university career with Newcastle with multiple HWR wins and EUSA golds under her belt. Pippa Whittaker, at two and the only heavyweight in the crew, has secured a place at Cambridge next year to study a Master Of Finance. Whittaker was runner-up in the Elite 1x at HWR in 2017, and previously won Elite 8+ in 2011 & 2014, as well as Elite 4x in 2010. 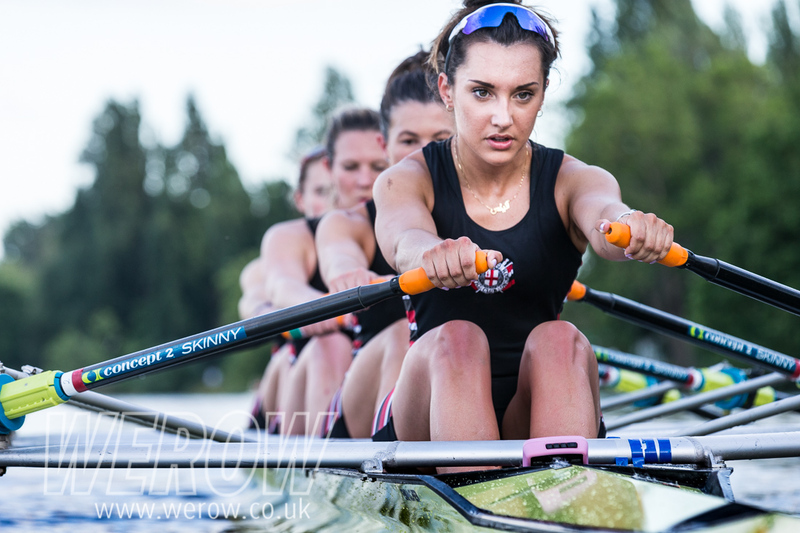 She also represented GB at FISU in 2014 in the W4- where they took home gold. Alex Styles is a student at Oxford Brookes but is currently working on an industrial placement as part of her degree at Lloyd’s Banking Group in London. 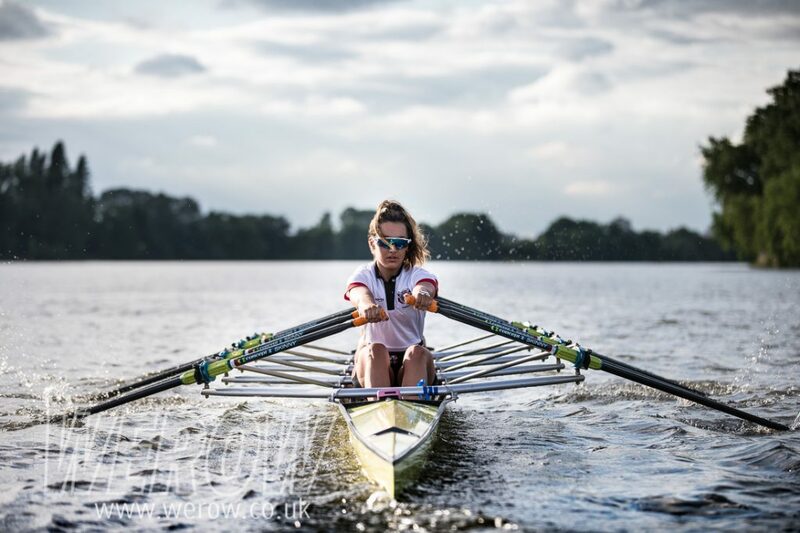 Earlier in the year she won the Lightweight Championships 4x at BUCS Regatta with Brookes and placed 11th at Final GB Assessment putting her right in the mix for potential U23 Selection this summer. Despite the wealth of talent in the crew, Styles is under no illusion about the competition they face. The Thames crew kick off their campaign on Saturday and are drawn against a London Rowing Club/Club D’Aviron Vesenazn (Swiss) composite containing former Canadian international and winner of the Elite 1x in the Scullers Head, Meghan Jackson, Cambridge lightweight Fanny Belais, Swiss U23 international Pauline Delacroix and Catherine Ador of UL. 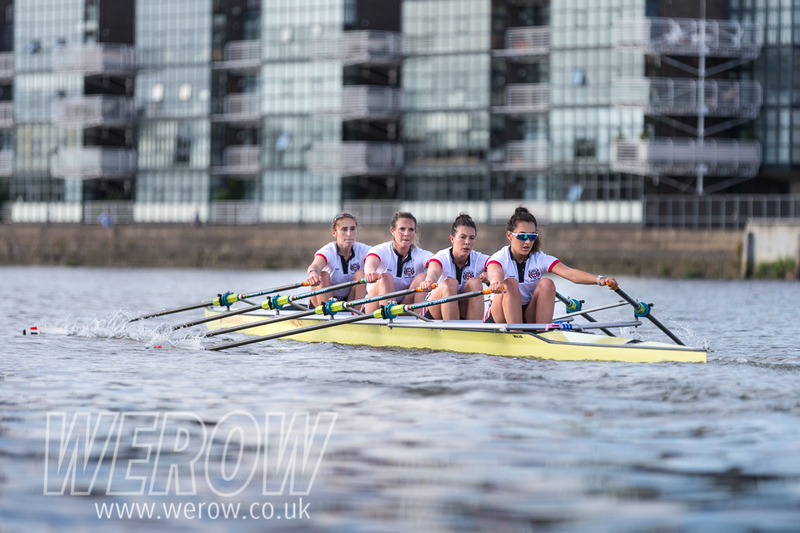 The other crews in the competition – Newcastle (W4x winners at BUCS Regatta), Brookes (Came second to Leander in Ghent), Bremer Ruderverein (German, crew contains U23 international Laura Preiss) and the University of London (Robyn Hart-Winks sculled in the GBR LW4x in Sarasota), look no less menacing. Henley Women’s Regatta starts at 9.00am on Friday, June 22 with the finals on Sunday. Article by WEROW, the home of rowing and sculling on the web covering all levels of the sport with a neutral voice and an inclusive outlook.